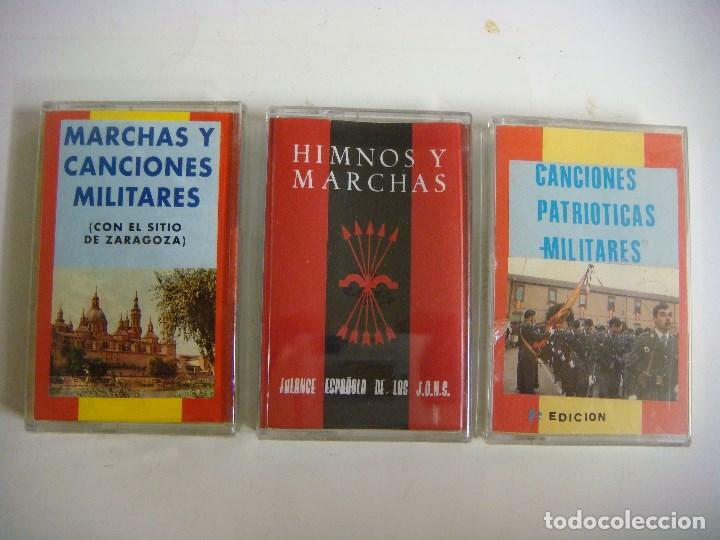 CASETES COLECCION DE 6 CASETES DE MARCHAS Y CANCIONES MILITARES HIMNOS Y MARCHAS. LOS GASTOS DE ENVIO SON DE 6 EUROS CERTIFICADO SI LO DESEA ORDINARIO 3,90 EUROS BAJO SU RESPONSABILIDAD. Oficial Time TC: 22:37:03 TR: 113 ms.